Caring for older adults with multiple chronic conditions can create challenging situations. For example, some treatments may be harmful to older adults who live with and manage several chronic conditions. In some cases, several treatments might be available but healthcare providers may not know which are best for a particular individual. In other cases, older adults and caregivers could even receive different treatment recommendations depending on the healthcare providers who offer guidance. Most important of all, managing care for multiple chronic conditions can make it difficult to focus on what matters most to us as individuals—a key priority when we think about the high-quality, person-centered care we all want and need as we age. 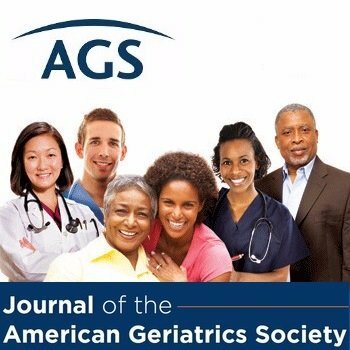 In 2010, the American Geriatrics Society (AGS) convened a panel of medical experts to address how to provide the best care for older adults living with multiple chronic conditions. The panel reviewed a host of clinical studies and developed the AGS Guiding Principles for the Care of Older Adults with Multimorbidity as a result. Include personal preferences in care decision-making. Older adults who have multiple chronic health conditions should be asked how they wish to make medical decisions affecting their care. Whenever appropriate, caregivers and family members should also be involved in these discussions. Understand the limits of evidence on treatment options. Clinicians must understand that specific, evidence-backed answers to questions about the best medical choices for individual older adults may not exist. That’s because every older adult and every health situation is unique. Weigh benefits versus harms. When addressing multiple chronic conditions for an older individual, clinicians must consider how a person might be burdened by one medical plan or treatment versus others. They also must weigh the benefits of treatment options, as well as information on the person’s functional status (their ability to perform daily activities such as bathing and eating), life expectancy (how long they are likely to live), and quality of life. Consider if treatment is manageable. When sharing recommendations, clinicians must account for the complexity of a treatment and whether it suits an older adult’s particular situation. Make the best informed choice possible. Ultimately, healthcare professionals also must try to choose therapies that have the most benefit, pose the least harm, and will work to enhance an older person’s quality of life. Now, an expert group of geriatricians, cardiologists, and general physicians have identified a set of action steps based on those guiding principles to help healthcare providers work with older adults and caregivers to make the best treatment choices possible when addressing multiple chronic conditions.